There comes a time when you get tired of Nokia's Symbian OS and want to jump ship to a new star of mobile phones, Android device. Changing a phone is very easy. However, to transfer data from Symbian to Android, like contacts, you may find it a bit difficult. In this case, you can draw support from a third party tool - the Wondershare MobileTrans. It’s a Symbian to Android transfer program, empowering you to transfer contacts from Symbian to Android seamlessly. Besides contacts, it also lets you copy photos, videos, text messages and music too. Here is a full guide to get your data transferred easily and safely between any of your mobile phones. Check out this infographic. Less than 10 MINS, All Is Done! Not only contacts, the Symbian to Android transfer program helps to transfer text messages, music, video and photos from Symbian to Android easily. Sync contacts from Symbian to Android, with company name, home address, email address and more info. Move all text messages from Symbian phone to Android phone with ease. Copy photos, music and video in no time, so you can enjoy on the go. 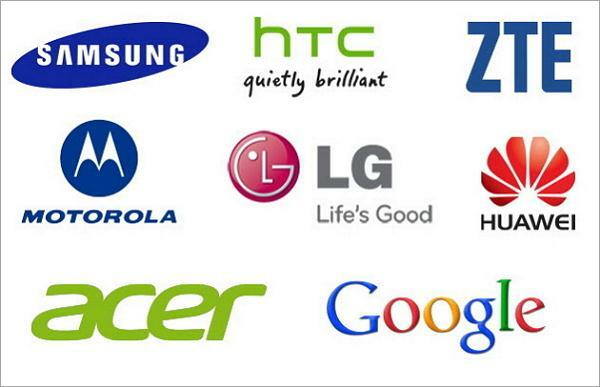 Work well with Nokia Symbian phones and Android devices, like Samsung, LG, HTC, Sony, Motorola, etc. The program has a very brief and intuitive interface. And only one click, everything is done. The program transfers not only contacts, but copies text messages, video, photos and music simultaneously. 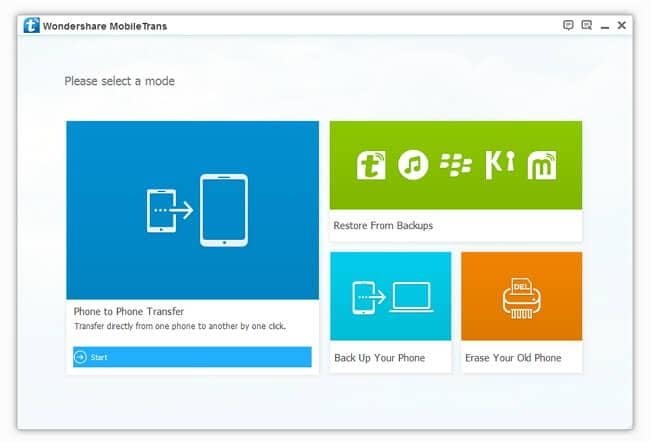 With it, you can transfer files from Nokia Symbian phone to an Android device, including Samsung, HTC, Sony, LG, Motorola, HUAWEI, Acer or others. 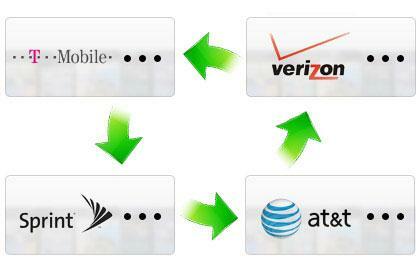 No matter what your phone carriers are, the program helps you migrate data between two phones with ease. 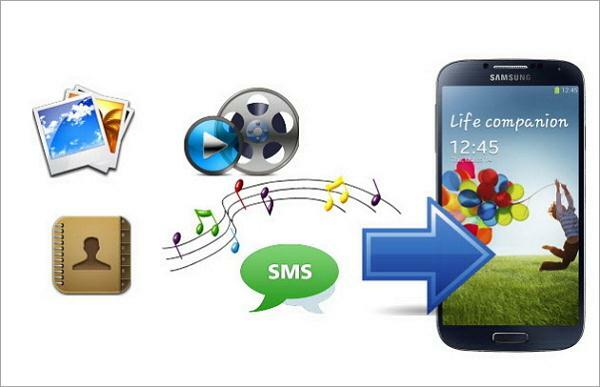 One-click phone transfer program to transfer contacts, photos, video, music and SMS from Symbian to Android. 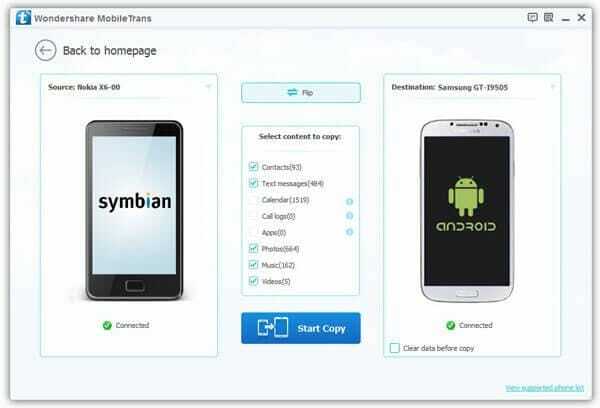 To get started, run the Symbian to Android transfer program- the Wondershare MobileTrans on the computer. In the primary window, choose Phone to Phone Transfer mode and click Start. Take out the USB cables to connect your Nokia Symbian phone and Android devices to PC. After recognized, your Symbian phone will be shown on the left and the Android device on the right in the window. The data that can be moved are checked. If you just want to transfer Symbian contacts to Android, you should uncheck the other data. Then, start the Symbian to Android transfer by clicking Start Copy. How to Transfer Data from Nokia to Samsung? How to Transfer Files from Nokia to iPhone? How to Move Contacts to a New Android Phone? How to Copy Files from iPad to Android? How to Move Files from One Android Phone to Another? How to Transfer Data from One HTC to Another? Sorry, Hemal, we haven't tested Nokia communicator 9300. However, if PC Suite supports it, Wondershare MobileTrans will also support it. Or, you can download Wondershare MobileTrans to have a try. want to transfbth mobile data from my nokia communicator 9300 (symbian series80) to android dz this software work in these lang / iv filld all the fields of contacts incl notes, job title, email id, names in multiple contact numbers in each contact etc...ets want to transferr all appropriately wud it help 7 work ??? So pathetic while you can do this all with Bluetooth for free. To use the full functions of Wondershare MobileTrans, you should pay $39.95. Then you have free lifetime update and free technical support service. Were u able to transfer the Messeges as well through bluetooth?? Yes, it is. But you can transfer 5 contacts for free before you purchase it. So this is a paid SW ? I had a Nokia 5800 and I transferred my contacts to my new Samsung S3 through bluetooth very easily and it was not necessary to install any program or aplication. How to Buy Music on Android in Android Apps? How Do You Test Your Mobile Internet Speed?